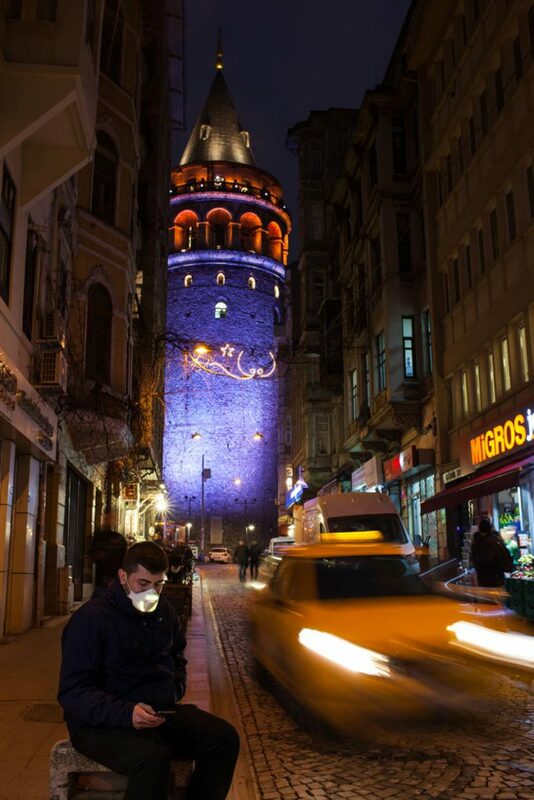 Student Enes İshak Ordueri checks air pollution levels in front of Galata Tower in Istanbul while wearing an LED light mask showing real time air quality measurements. Here it is lit up yellow, showing pollution is roughly double World Health Organization recommended limits. With a population of 16 million, Istanbul is the largest city in Turkey, and the country’s beating heart of commerce, technology and innovation. Unfortunately, Istanbul has a growing invisible problem, air pollution. According to World Health Organisation (WHO) calculations, Istanbul’s residents breathe hazardous levels of fine particulate matter, PM 2.5 which is 3,4 times higher than the WHO’s safe levels. 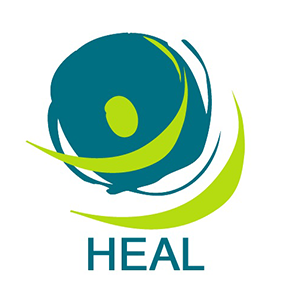 PM 2.5, which is less than or equal to 2.5 micrometers in diameter, are harmful to health, leading to an increased risk of respiratory and cardiovascular diseases such as asthma, chronic obstructive pulmonary disease, heart attacks and stroke.While population density and associated traffic pollution are significant contributors to the problem, industrial cities nearby, such as Kocaeli, the rapid degradation of green reserves, and Turkey’s huge appetite for new constructions and urban renewal  are also major factors in the air pollution that now impacting public health and contributing to climate change. Turkey officially measures air pollution in all its 81 cities with 197 stations including Istanbul. However only PM10 and SOx (sulphur oxides) are measured, not smaller particles, PM2.5 – which are more critical for human health. Moreover in 2016, one third of the official air quality monitoring stations in Istanbul did not work for more than 25 days of the year. To protect public health from air pollution, we must accurately measure the air quality. Tell the Ministry of Urban and Environment that we need to measure PM 2.5 levels and all air quality measurement should be available to the public 7/24.